Today is the last day of our semina class. Everyone is happy and equipped with new knowledge acquired everyone is going to have a nice summer. This semester we also have two new MA students came from China and Taiwan. Same as last term seminar, we did report the progress of our research activity… At this term one MA student who came from Tanzania will complete his program in this september. Reception of visiting professors and students from Yuan Ze University, Taiwan in late May. We exchange some research finding and experiences. 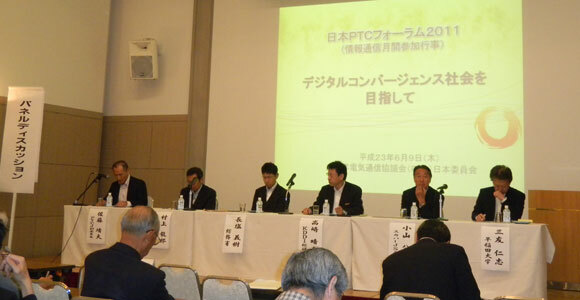 We have also been to the Conference in Yotsuya organized by PTC (Pacific Telecommunication Committee) in June. Theme: Digital Convergence Society, how to make success. Prof. Mitomo contributed a keynote speech. In late June, Professor Mitomo, PhD students, other students attended ITS Region Conference, Taiwan. And last but not least, we have contributed to rebuild our seminar website. Have a great vacation everyone!